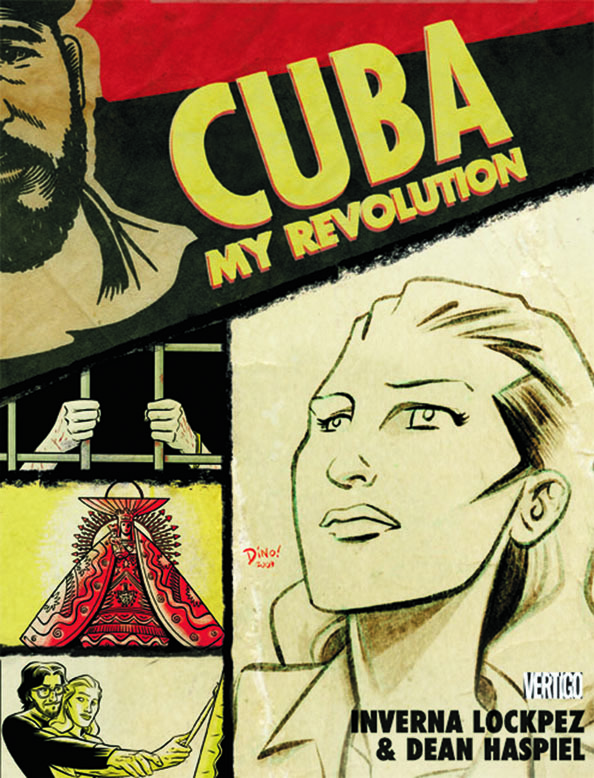 Written by Inverna Lockpez with beautiful art by Dean Haspel, Cuba: My Revolution is the true story of Lockpez’s life during the Cuban revolution and her disillusionment over the paradise promised by Fidel Castro. From the moment Fidel Castro captures Havana in 1959, 17 year old Sonya believes in the promise of the Cuban Revolution. A medical student with aspirations of becoming a painter, she joins the militia and finds herself caught between idealism and ideology. The story is quite amazing in it’s honesty and there’s moments you can tell were painful to cover. From the beginning you can understand Sonya’s seduction into the promise of a free Cuba for the people and her slow descent away and to America. It’s a heartbreaking tale as you can feel the pain Sonya feels as everything she believes slowly crumbles around her. It’s amazing to see a comic pull that off. Any faults with the comic doesn’t have to do what what’s on paper before you, it’s with Sonya herself. The character at times comes of as either naive or so self-centered she can’t see the world around her. After suffering abuses unimaginable she still blindly follows the revolution. After her family breaks apart, friends are tortured, it’s an art exhibit that serves as the breaking point. There’s just a point where she snaps. My only question is why does she blindly follow Fidel? It’s touched on a bit, but I’d like to have seen more of it. Sonya instead just comes off as not really thinking for herself and not being able to take a step back to see what’s really going on. But by the cathartic end, you can see how everything has built up and we need drastic change to take the blinders off. And maybe that’s part of the point of it all? We at times want to believe in something so much that we’re willing to overlook horrors and the wrongs done by those that we put our faith in. No matter, Cuba: My Revolution is a first hand account of history and one you should definitely read.